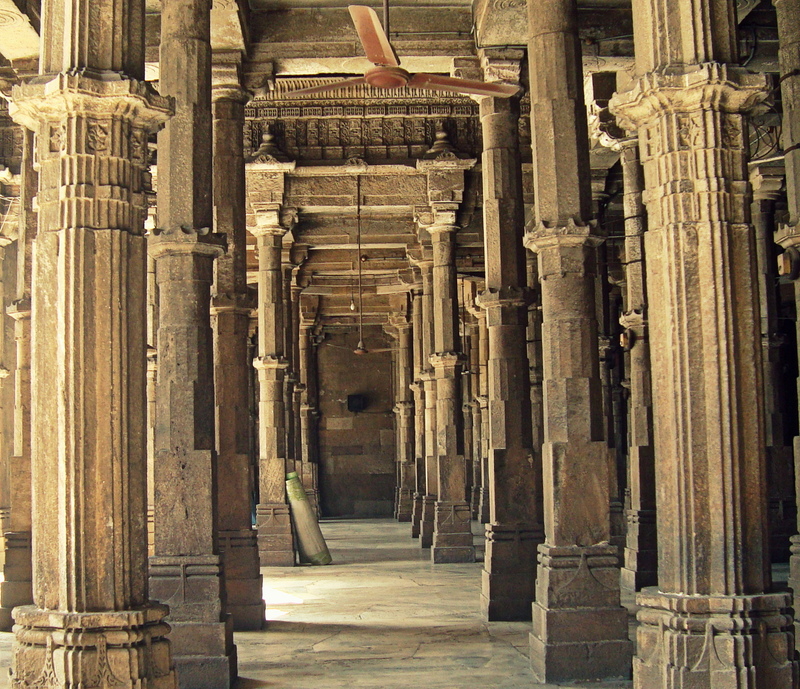 I got to visit Ahmedabad in April this year. I had a list of places to visit in the old city. 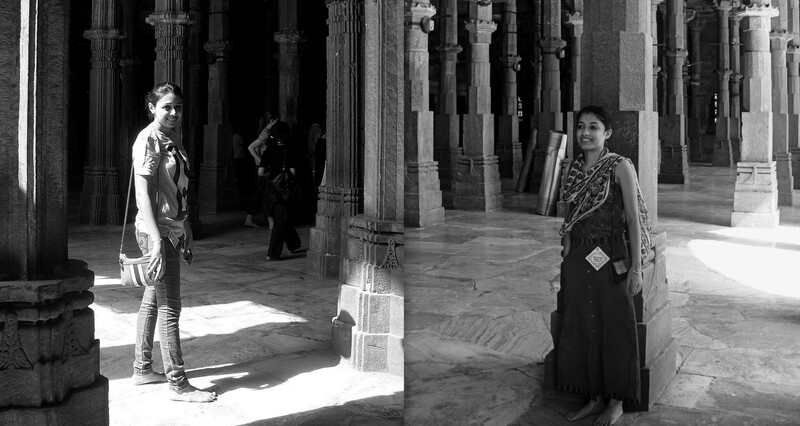 Fortunately, I got to stay with an influential Gujarati family who took me all around the city. Just follow the link mentioned above to register. The details are given in the link. 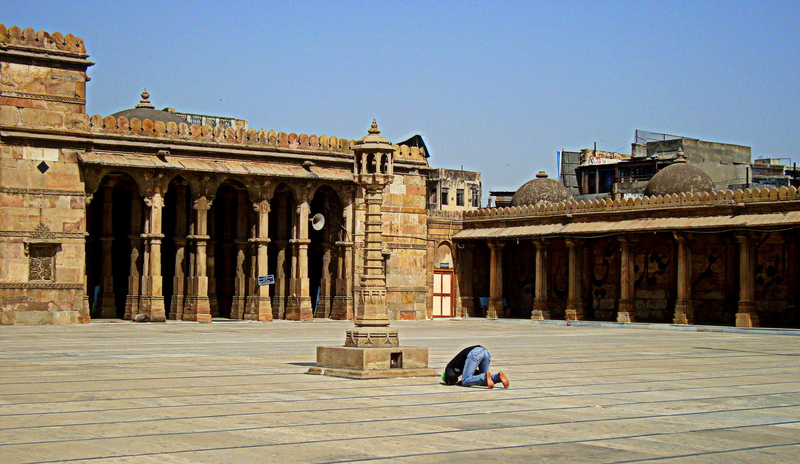 The mosque was built in 1424 and located in the old part of the city. Ahmed Shah 1, his son Mohammed Shah & his grandson Qutub-Ud-Din Ahmed Shah II. 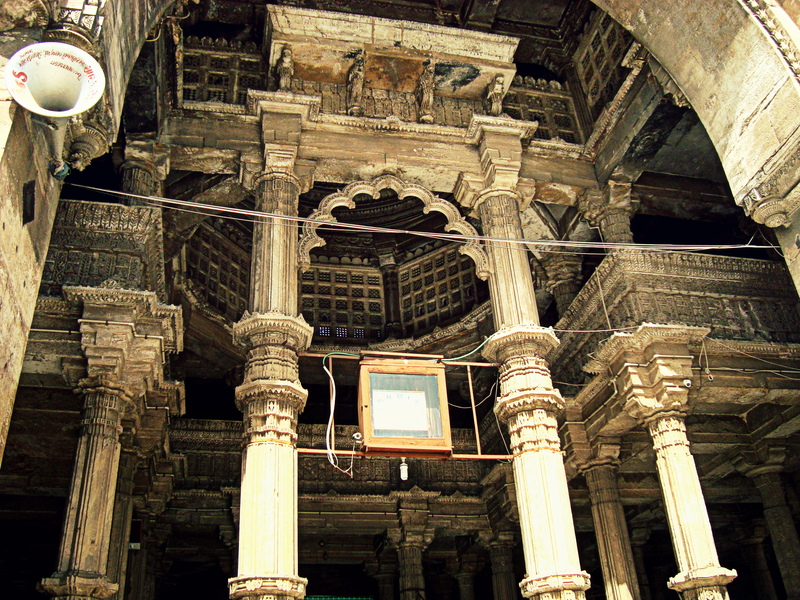 on the eastern side of the mosque. 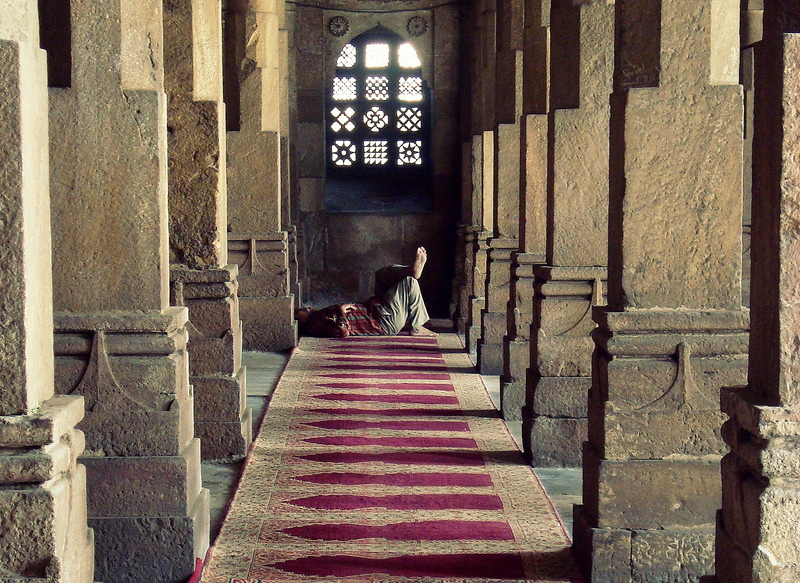 has been of excellent quality since the mosque has survived the drastic changes in the environmental condition. 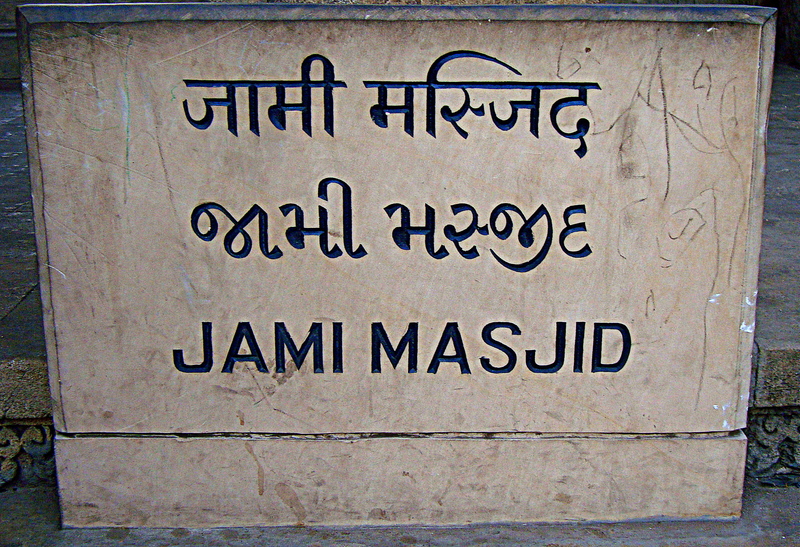 The color of the stone used for building the mosque was yellow in color. 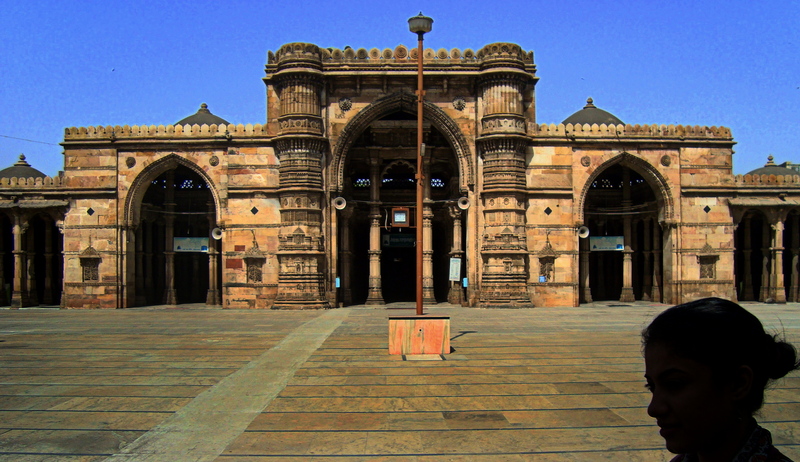 There is a large rectangle shaped quad that is located in the middle of the mosque and the size of this quad is 75 meters in length and 66 meters in its width. 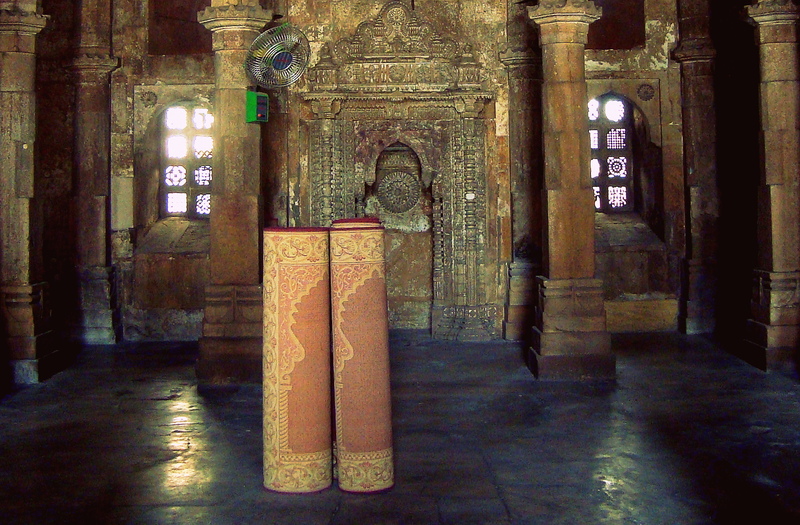 the fourth remaining side of the mosque has a hall where the prayers are offered. and is roofed by four vaults. 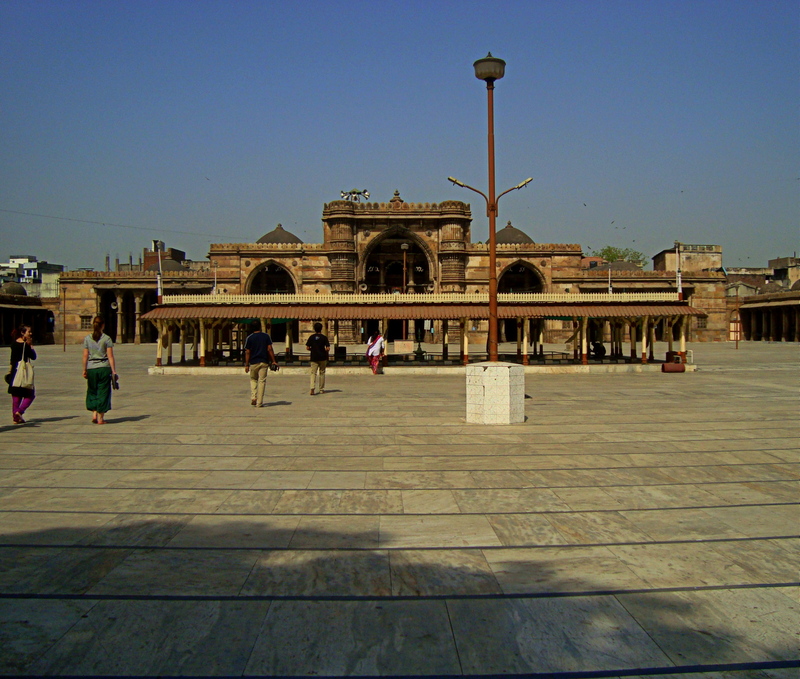 The architectural type of the mosque is Indo-Saracenic. 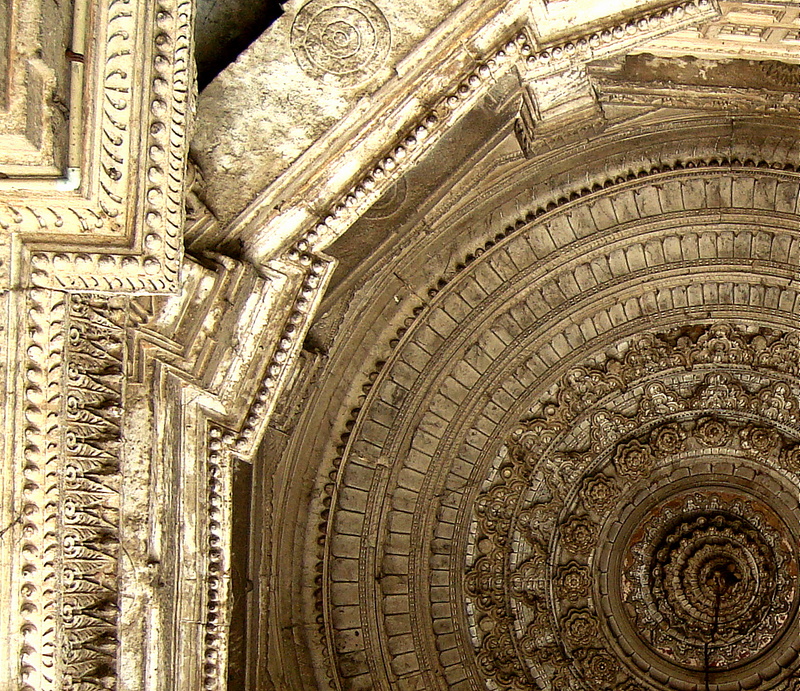 to the bells in any of the temple of Hindu community. 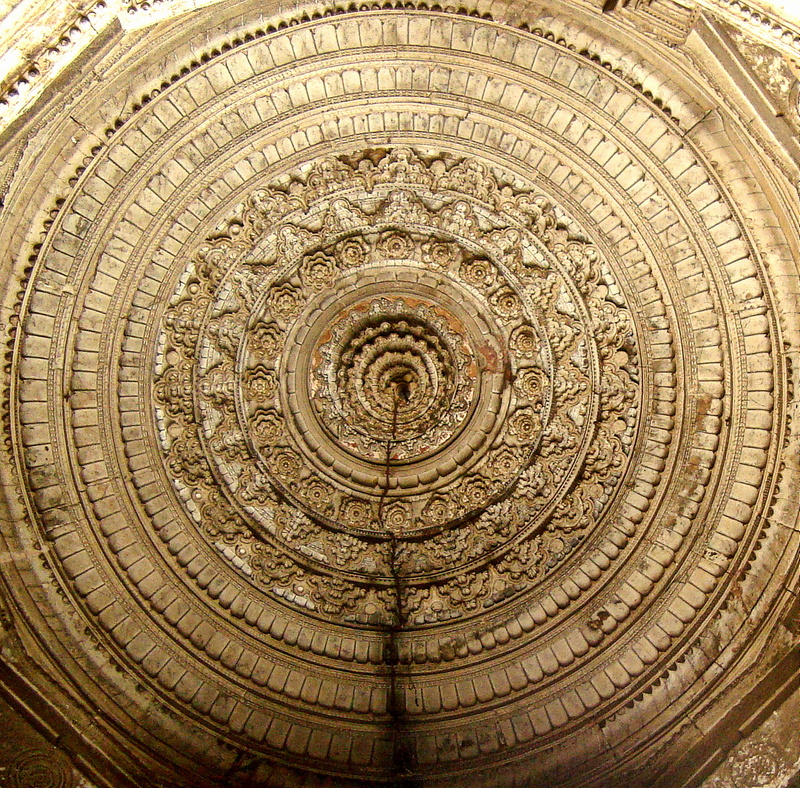 The domes also reflect the architecture similar to the domes of the Jain temples. gives it a magnificent look. 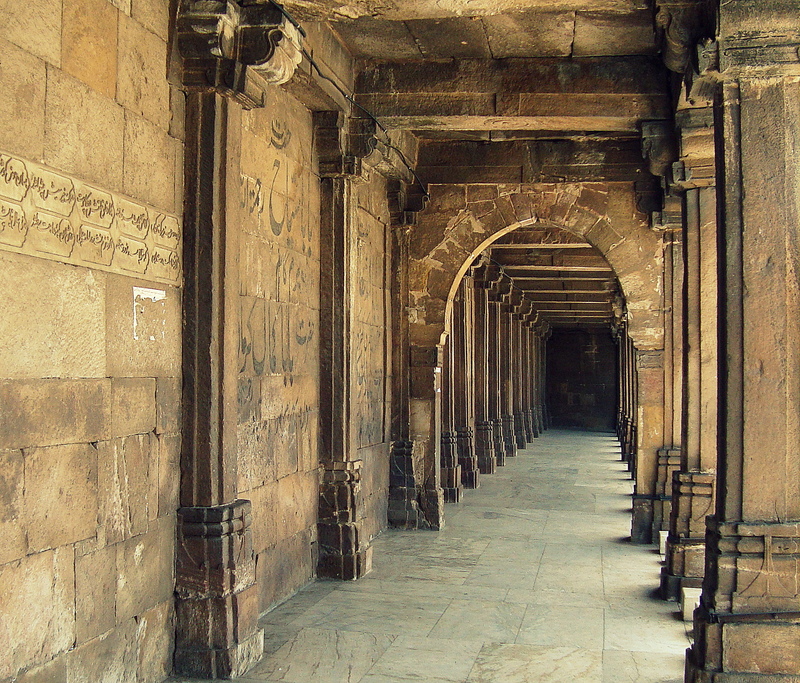 The walkaways in the mosque are ornate with the calligraphy of the Arabic styles. and it is considered to purify the sins. while the lower parts of these spires are still intact. 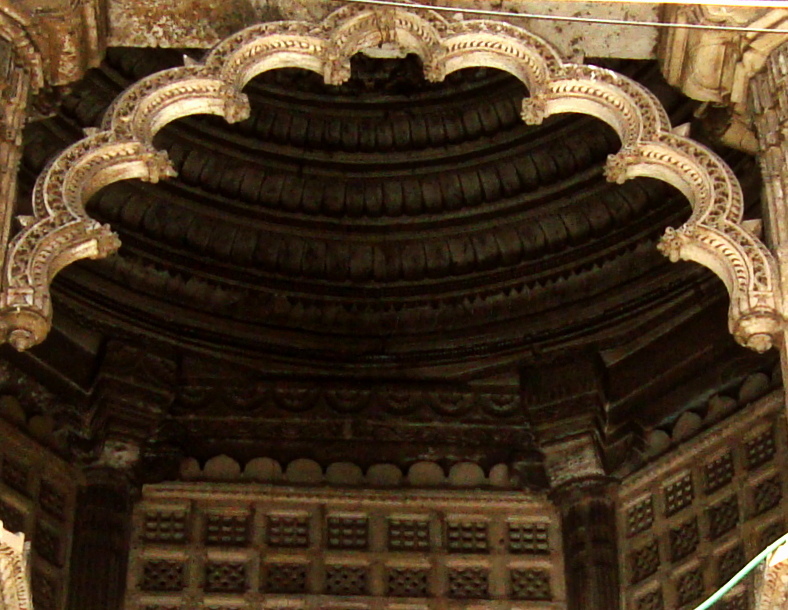 The roof of the main prayer hall stands on 260 stakes and has a total of 15 cupolas. 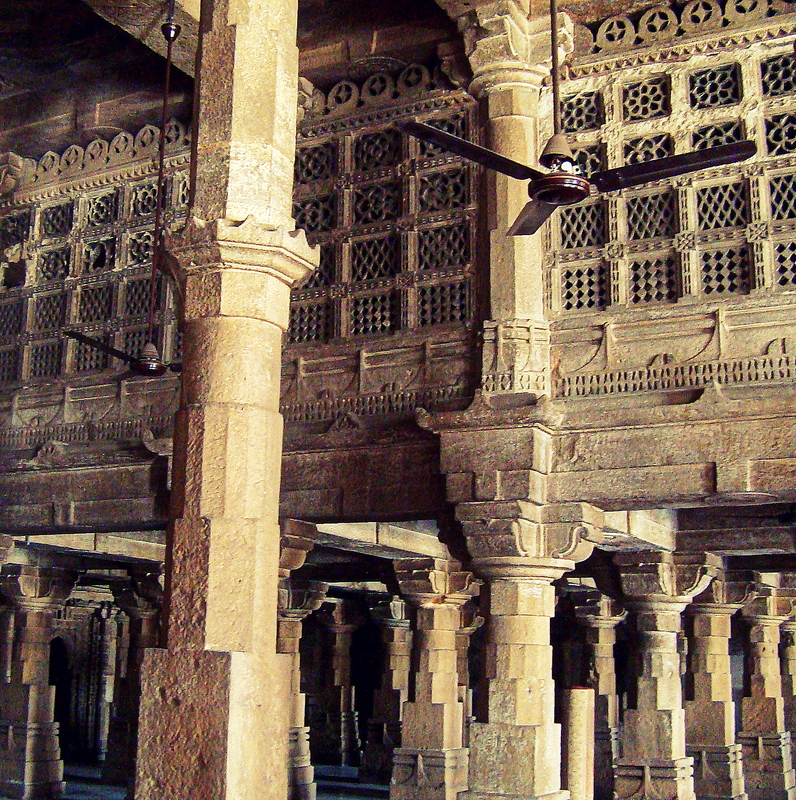 speaks about the rich heritage of the era in which it was built. 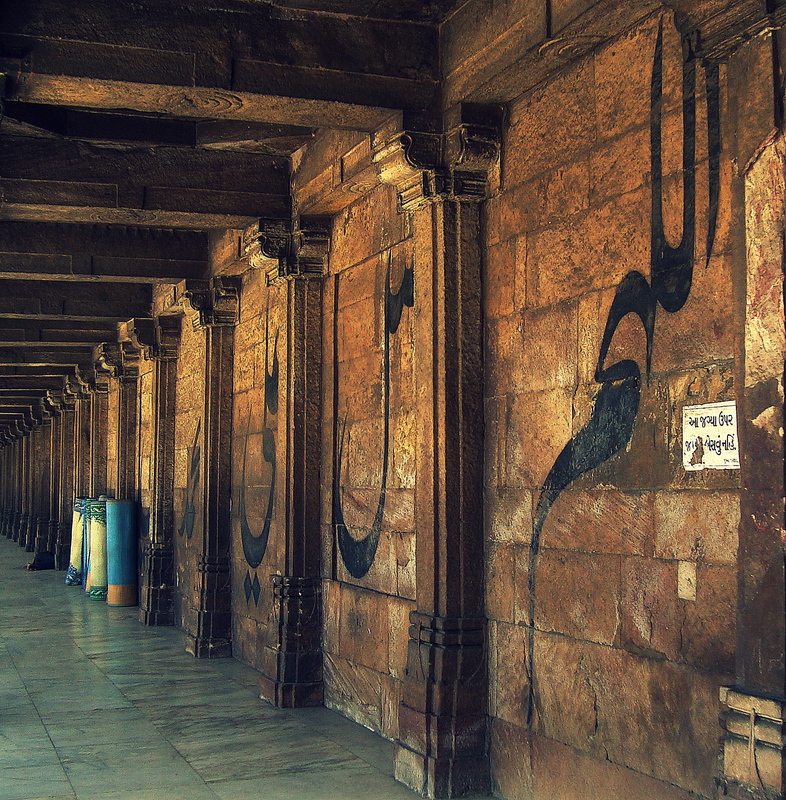 The prayer wall known as qibla is richly ornate. 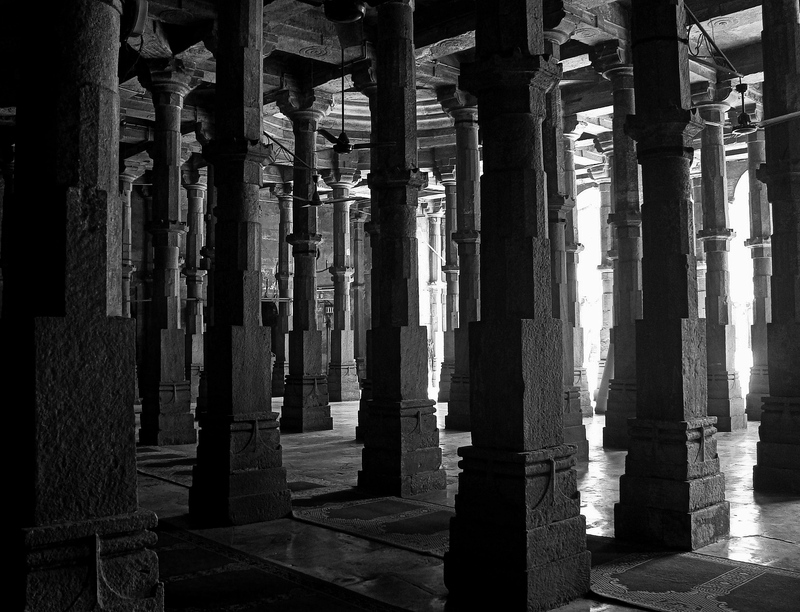 The middle openings have the carved stones that are located in the two pillars. The other two pillars got destroyed in the earthquake of 1957.
by Sultan Ahmad Shah 1. 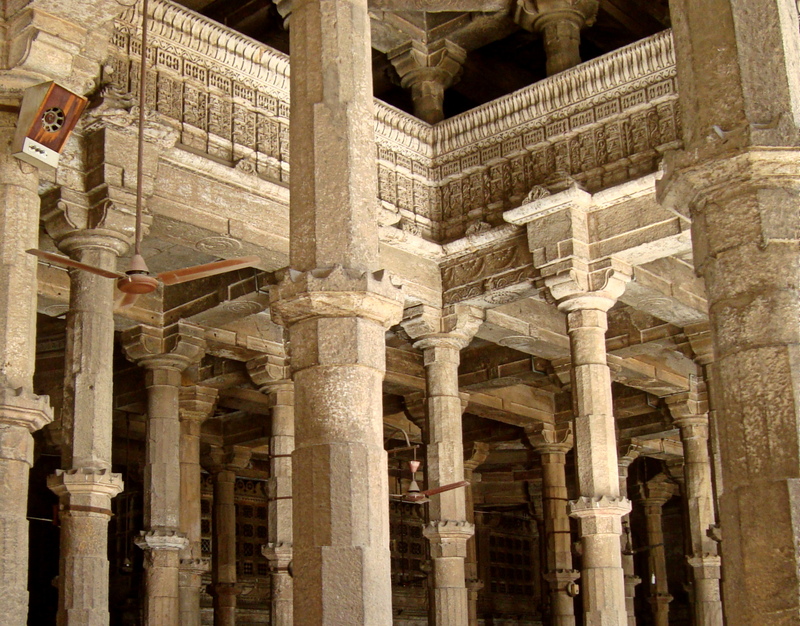 The above architecture facts are from DiscoveredIndia. and the gumbhaj right in the middle of the mosque. is just another view to cherish.